Before we begin, I suggest checking out our reference page of special stitches and abbreviations. For the full pattern, please visit Hand Crafting With Love. This is the yarn I am using. This is the yarn I am using. 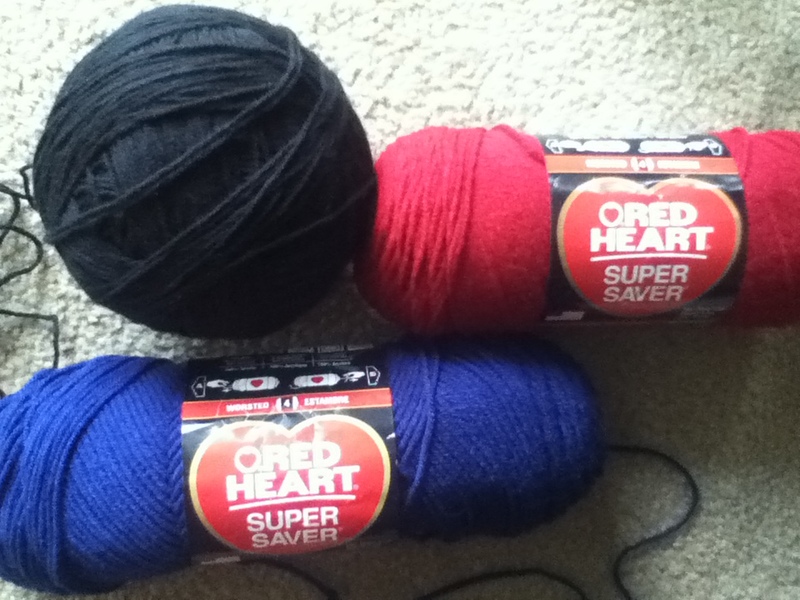 Red Heart Super Saver worsted weight 4 in red, blue, and black (I have about 4 skeins of black there, as it will be my main color). This is the first 6 rows of my afghan. I did 2 rows is sc before beginning the actual pattern. As a side note: If I have enough black yarn when I finish, I may put a black border around the entire blanket of 2-4 rows of sc sts, but that may not be for a while. 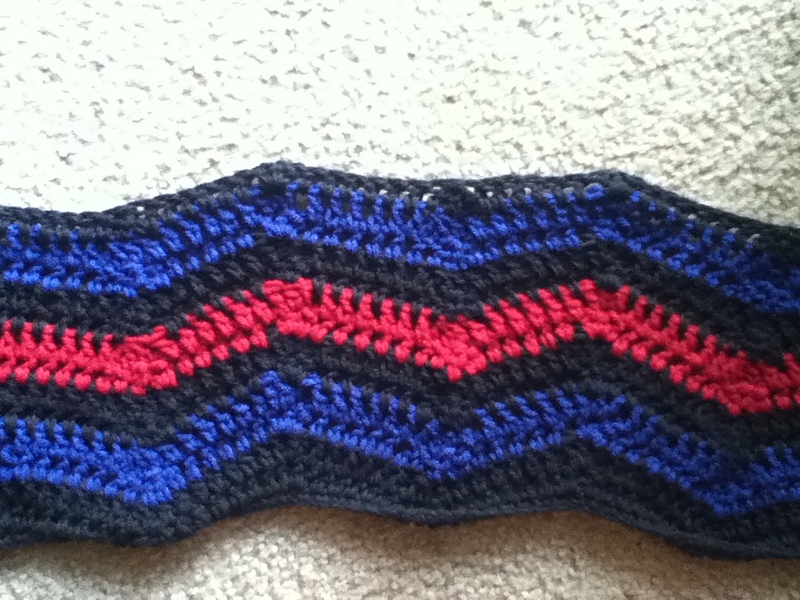 15 rows, alternating black, blue, black, red. The black stripes are just contrast colors. The blue stripes represent peace, tranquility, unity, and confidence. The red stripes represent energy, love, strength, and passion. I thought these would be good colors because they look good together, and the symbolism is perfect for my first afghan, especially since I’m making it for me and my boyfriend in our first (and hopefully not last) home together. I’ll add more photos as I get further along in the project, as well as the end result. When I’m finished, look for pictures using lighter yarn on how to do each step, as well.